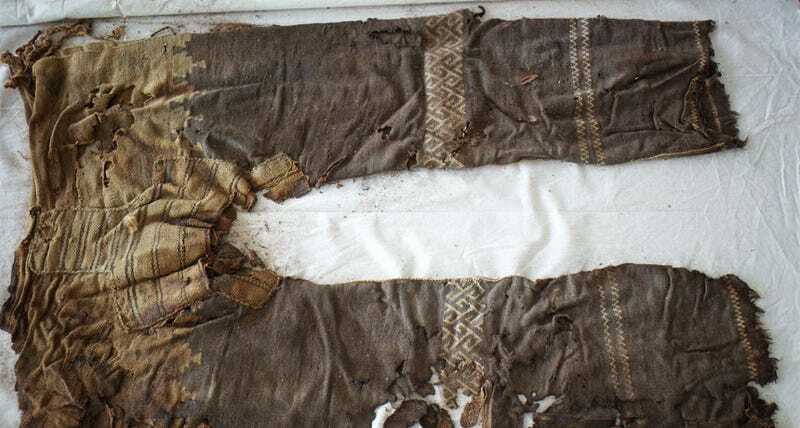 These are the oldest pants ever discovered. These are the oldest pants ever discovered. They belonged to a nomadic herder living in China between 3,300 and 3,000 years ago. The invention of trousers, say archeologists, is likely due to the advent of horseback riding and the increased need for mobility.